To help people understand their potential risk of living with frailty, the guide includes a simple, walking speed test. Taking more than five seconds to cover a distance of four metres is highly indicative of frailty, with the proviso that there is no obvious alternative reason for walking slowly such as a previous stroke or knee/hip arthritis. This is not meant to be a diagnosis, but it can provide a good indication that someone should consider making changes to their daily lives so that they can better manage their frailty or reduce the chance of it becoming more serious. 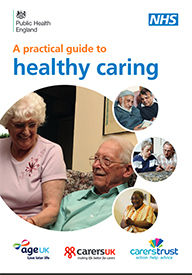 Building on the popularity of the Healthy Ageing Guide, in partnership with Carers UK, Carers Trust Age UK, Public Health England, and older carers themselves, we have published a Practical Guide to Healthy Caring. The guide aims to support the 5.4 million carers and in particular those 1.2 million aged over 65, who make a critical and often underappreciated contribution not only to loved ones, neighbours and friends but to the very sustainability of the NHS itself. 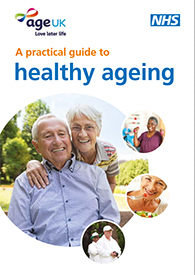 The Practical Guide to Healthy Caring is a companion guide to A Practical Guide to Healthy Ageing originally published in January 2015 and updated in October 2015. The Healthy Caring Guide and Healthy Ageing Guides are available to a download via the links above. For more information contact us at england.clinicalpolicy@nhs.net.